On Friday 9th September GEP is putting on a cycle time trial up the Sir William Hill, it’s a beast! 1.77km (that’s 1.1miles) and climbs a whopping 200m (650feet) in that distance. That’s an average gradient of 11%. Last year we saw some incredible performances from club cyclists and total newcomers alike. Pit yourself against the best, and then kick back with the delights of the Friday evening festival. They have generously provided race prizes of £50, £20 and £10 vouchers for 1st, 2nd and 3rd women and men. And they have funded the production of our fab event T-shirts (designed by one of our dads). There will be children’s sizes available too! Here is a sneak preview of the fab event T-shirts, on sale for £10. You can meet High Peak Cycles at their stall at the event festival where they will be showcasing their kids bikes and other goodies. Thank you High Peak Cycles! Cost: Entry is £10, which includes a medal and entry to the festival for you and your family (you’ll have to buy your food and beer as we can’t include that in the price!). 16:30 Bike fair and Hill Climb festival at the Sir William Hotel, BBQ fired up. Registration opens. 19:30 Sir William Hill Climb finishes. 20:00 Hill Climb Prize Giving at the Sir William Hotel. Bike fair and BBQ close. This entry was posted in Events, Uncategorized on August 23, 2016 by grindleford13. On the evening of Thursday 16th July 7-9pm there will be a craft evening at the allotments in Grindleford exclusively for all the Friends of Grindleford and Eyam Playgroup. It’s a drop in evening, so come and go as you please on the night, but please RSVP that you will be joining us. Grindleford and Eyam Playgroup is a charity and so we need to raise funds in order to keep going! The Friends of scheme is a way of you donating £10 plus one hour volunteer time or £15 annually to help us keep going. This entry was posted in Events, Friends of GEP on July 3, 2015 by grindleford13. 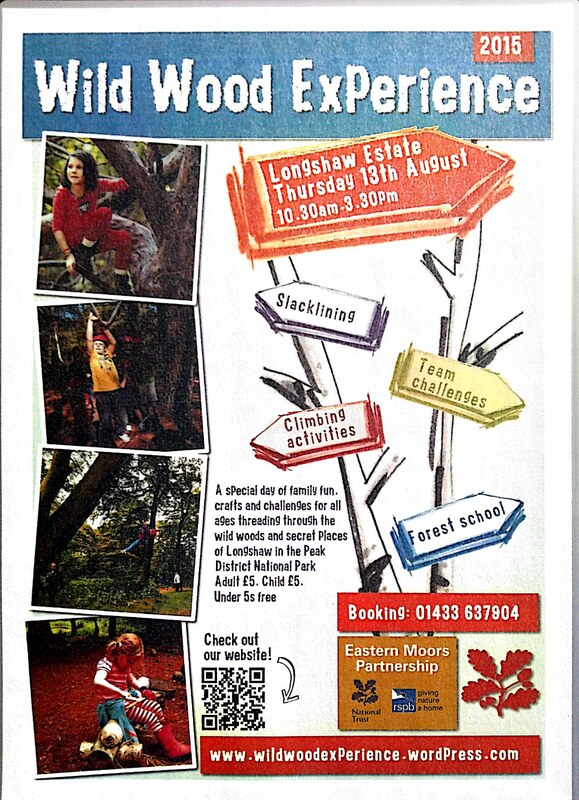 Grindleford and Eyam playgroup are proud to once again be running the drop in forest school at the Longshaw Estate Wild Wood Experience, on 13 August. 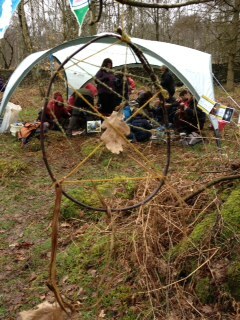 Come along and try your hand at some typical forest school activities like : firelighting, cooking and crafts. This entry was posted in Events and tagged Longshaw Estate, Wild Wood Experience on June 28, 2015 by grindleford13.